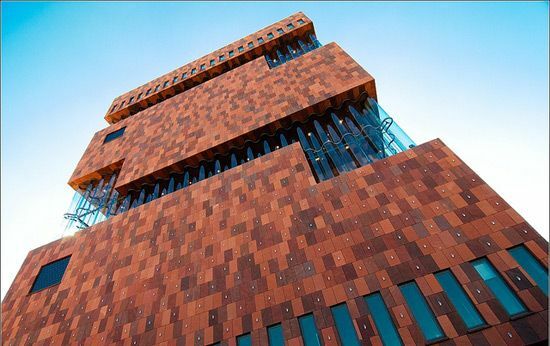 Antwerp, a popular tourist destination in the Flanders region of Belguim, is home to many significant historic and contemporary attractions, including former home and studio of Peter Paul Rubens, The Rubens House, and Antwerp’s newest and largest museum, the MAS. Overseeing the operations of these and all other heritage sites in Antwerp is the Museums and Heritage Association, who as well as running these attractions also takes responsibility for the restoration and storage of their collections. In total the association manages over 800,000 artifacts, 1.46 million books and around 9,500 archives, located in multiple sites, collections and storage areas across the city. Swings in temperature and humidity on many of these precious artifacts threaten their condition and so many are housed in strictly controlled environments where day to day monitoring is essential to ensure their long term preservation. While the Association has used multiple stand-alone loggers and analog thermo-hygrograph sensors to monitor conditions in the past, increasingly the number of locations, large number of staff needed for each data collection and different data collection tools meant data collected was frequently inaccurate, out of date or provided in multiple formats. It was this inefficiency that prompted the Association to start looking into alternative options. What they found were Corintech’s WiFi-based temperature and humidity sensors and accompanying FilesThruTheAir™ Cloud storage service. Investing in 50 WiFi-TH+ sensors, they quickly deployed the loggers across various sites in the city, each capturing data every 6 hours, on a 24/7 basis and feeding that information into the Cloud site. The net result is a single, remote data hub, viewable at any time of the day from a PC, tablet or phone showing all of the loggers and the data they collect. As well as providing on-going temperature and humidity data, the Cloud also sends automated email and SMS alerts to specific individuals when those parameters go out of range. FilesThruTheAir™ sensors provide the Museums and Heritage Association with consistent, continual monitoring of temperature and humidity levels throughout multiple sites at a lower cost than many of the previously employed devices. This lower cost has allowed the Association to deploy more sensors than it had previously, extending their monitoring reach without a major system systems overhaul. Instant notification of problems means the Association can act much faster, should there be an issue. Staff within the museums are no longer required to go to each area in turn to collect data from each sensor and data is collected in a single, central hub.